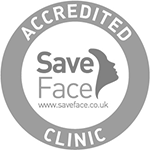 Aurora is now part of The Private Clinic, a nationwide group of clinics with over 35 years of experience specialising in Cosmetic Surgery and Skin and a Trust Pilot 5 star rating. For comprehensive information, before and after photos and costs on Earlobe Correction procedures click here. Split earlobe repair is a procedure that Aurora Clinics provides for an earlobe which has torn entirely, as a result of overstretching or accidental tearing when wearing earrings. Stretched earlobe repair is a surgical procedure for people with stretched earlobes as a result of a tribal ear piercing, also known as a flesh tunnel. Flesh tunnel repair surgery is performed in the same manner as split earlobe repair surgery, however it may take slightly longer. An incision is made in the earlobes and then stitched to repair the affected area. It is a relatively quick and simple procedure conducted under local anaesthetic. When the earlobe is stretched to more than 8mm with a tribal ear piercing, it is unlikely that the hole will fully contract to its original size. This results in an abnormally shaped earlobe which is often difficult to hide with hair, especially for men with shorter hairstyles. If you feel that your stretched or split earlobes are affecting your appearance, social life and career, the surgical team at Aurora Clinics can provide the solution. Many of our patients have increased confidence in their appearance following surgery. 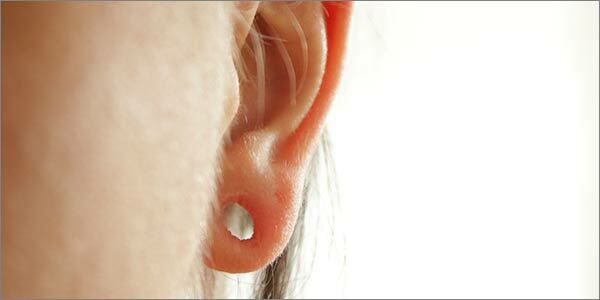 Stretched earlobe repair surgery is performed under local anaesthetic and typically takes 20-30 minutes per earlobe. 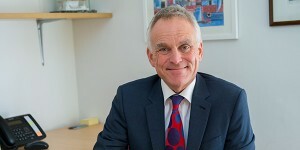 The Clinical Director of Aurora Clinics, Mr Adrian Richards, has devised his own technique for widely dilated earlobes which has provided consistently effective results. It involves removing the excess tissue and using fine internal and external stitches in the earlobe to create a normal shape. You can see the technique used in our videos. View our Earlobe Repair Surgery Before/After photo gallery.